It's a barrel of fun for the whole family! 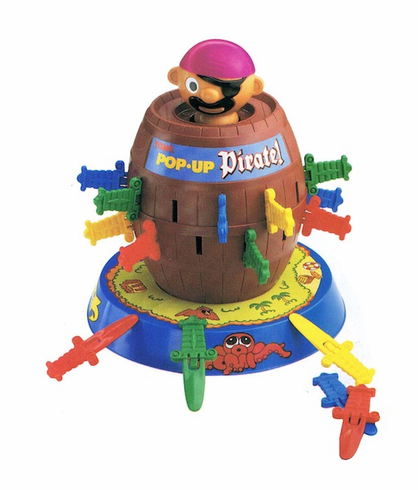 Push the pirate into the barrel, select your favorite sword color then take turns sliding a sword into the barrel slots. But beware - if the pirate pops up you're OUT! The last remaining player is the winner.